Seamless Knitting Machine is one kind of specialized processing equipment to knit and manufacture seamless single-side clothing in one time. And it can use natural fiber, synthetic fiber, man-made fiber, spandex and core-spun yarn as raw materials. 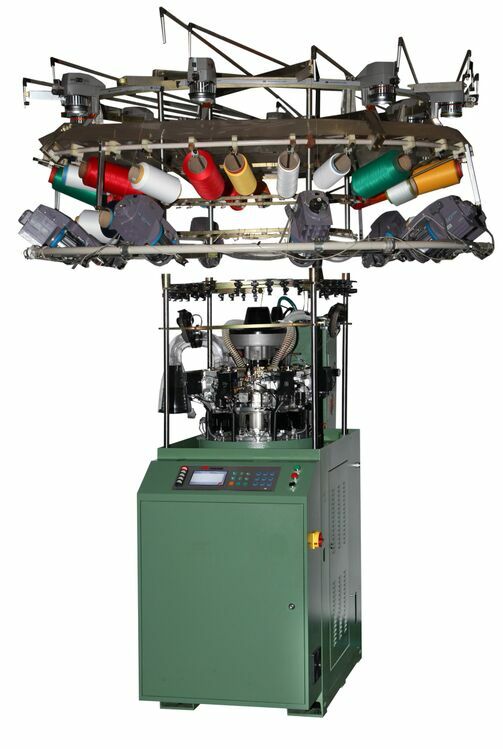 &Seamless Machine is clothing special equipment, which is through computer process make cotton, wool yarn,Acetyl fiber, Lycra composite yarn, blend yarn and so on material manufacture one time come into clothing. 1. Every feed have 2 pcs 16 grade selector, every needle can process two times selector control, 2 sets pneumatic cam per feed both have tri-station technic. 3. Stitch cam is controlled by step motor,every feed can change the fabric density on high speed at the same line. 4. KTF invariable tension carry yarn, which is suitable for input Lycra and rubber yarn. 5. Max.64 sensors of broken yarn can be equipped, it is can probe the broke yarn in time. If yarn broke, the broke signal will be sent by sensor, m/c will stop automatically, the products of flaw will be avoided. 1. JaTying organ can following craft automatic finish fabric draw-string knitting, don`t need sewing. 2. Per feed have one clip, the 2nd, 6th feed is double clip, which can automatic grasp Lycra composite yarn, rubber yarn and so on elastic yarn , is better for knitting. 1. Install the double layer AL base of knitting machine is integration design, which make sure the knitting parts precision of install place, improve machine dependability. 2. Key parts needle cylinder is detachable structure, big trash room, conveniently install and maintain. 3. Oil adding machine is controlled by program in PC, Oil is added according to the order which includes the oil allocation, probe and alert function. Besides seamless machine, we also have Rotor Spinning Machine, Air Thread Twister, Doubling Machine and so on. Looking for ideal Seamless Machine for Underwear Manufacturer & supplier ? We have a wide selection at great prices to help you get creative. All the Underwear Machine for Lady are quality guaranteed. We are China Origin Factory of Knitting Machine for Underwear. If you have any question, please feel free to contact us.